" We of Moog Music toil long and hard to give you brave Moog Fighters everything you need to PROTECT THE HONOR OF SUPERIOR ANALOG SOUND. Go forward with your heads held high, your ears wide open, and your hands ready to play your Moog instruments!" 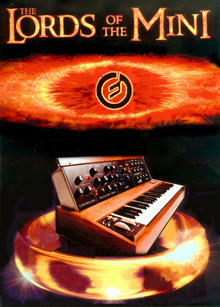 If you are a MiniMoog user, please mail me.